Increases cells oxygenation and ensures fresh complexion look. Firms and tightens skin, reduces mimic lines and wrinkles. 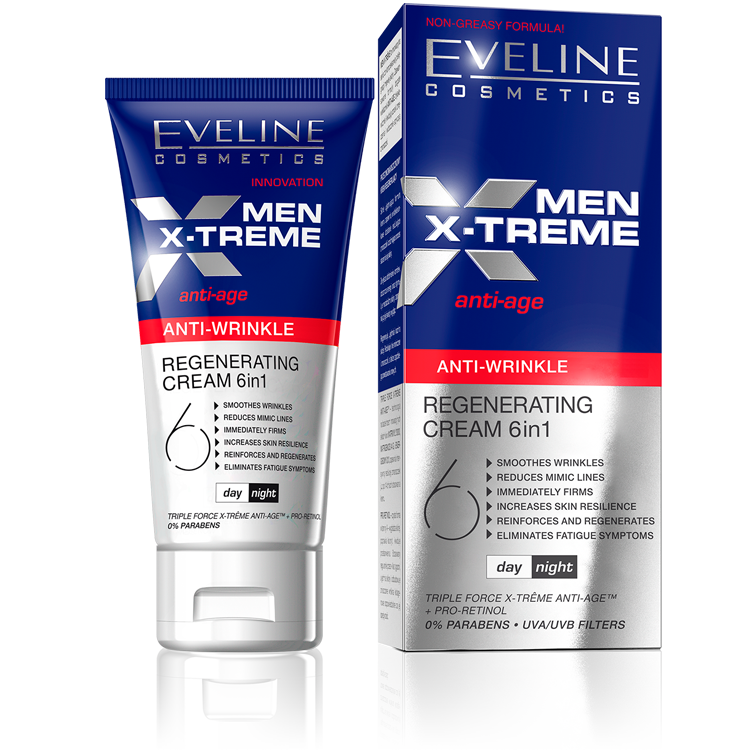 TRIPLE FORCE X-TRÊME ANTI-AGETM – technology based on three innovative ingredients: MATRIXYL®3000, MATRIGENICS.14 GTM and ENERGISOMS Q10, ensures intensive wrinkles reduction just after 14 days of cream application. PRO-RETINOL – pure form of vitamin A – rebuilds damaged collagen fibres responsible for skin resilience, improves tone, eliminates discolouration. ACTIVE INGREDIENTS: MATRIXYL®3000, MATRIGENICS.14 GTM, ENERGISOMS Q10, CERAMIDES, PhytoCellTecTM, HYALURONIC ACID. Application: every morning and evening apply the cream onto cleansed face and neck skin avoiding eyes area. Does not leave greasy coat.